Once in a while I’m blessed with a wonderful surprise as a travel photojournalist. I get to visit a place for which I had no expectations, but which brings forth hidden jewels. That was the case when I visited Lifou, one of the Loyalty Islands in the archipelago of New Caledonia. New Caledonia is currently a French protectorate, but is slated for a vote on independence in 2014. Recognizing that its future economy will, in large part, depend on tourism, the island group is busily preparing. Even tiny Lifou Island appears to be raising its profile. It recently hosted a first-ever visit from Royal Caribbean’s Rhapsody of the Seas, a 2,000-passenger vessel out of Sydney, Australia. I was lecturing aboard on digital photography. Disgorging two thousand people onto an island that does not even have a docking facility (passengers had to be tendered in) is no small task. And, to be sure the islanders were overwhelmed. Yet one would be hard pressed to find more friendly people, willing to accommodate tourists in whatever way they can. 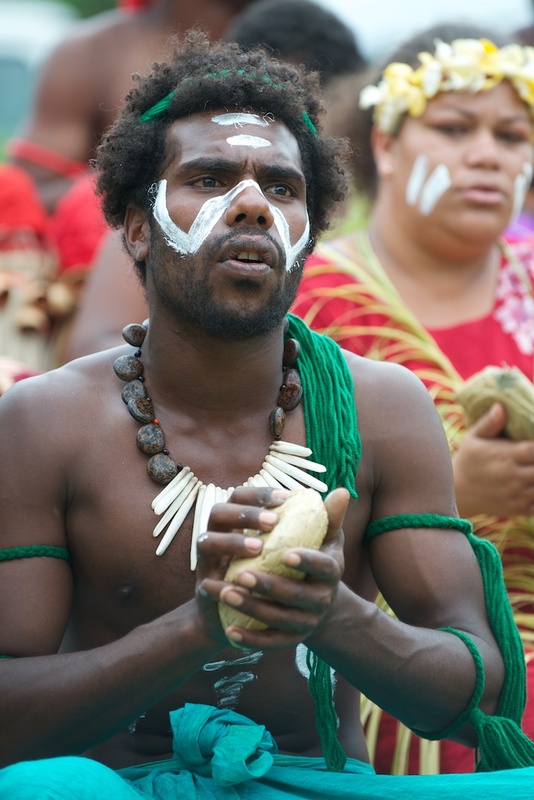 The indigenous people greeted us with a colorful and melodic singing and dancing troupe, using hand-pads made of coconut hemp to produce percussion sounds. First a bit of geography. Lifou is a classic tropical island, with miles and miles of pure white sand beaches. Its reefs are idyllic. Fish are abundant. 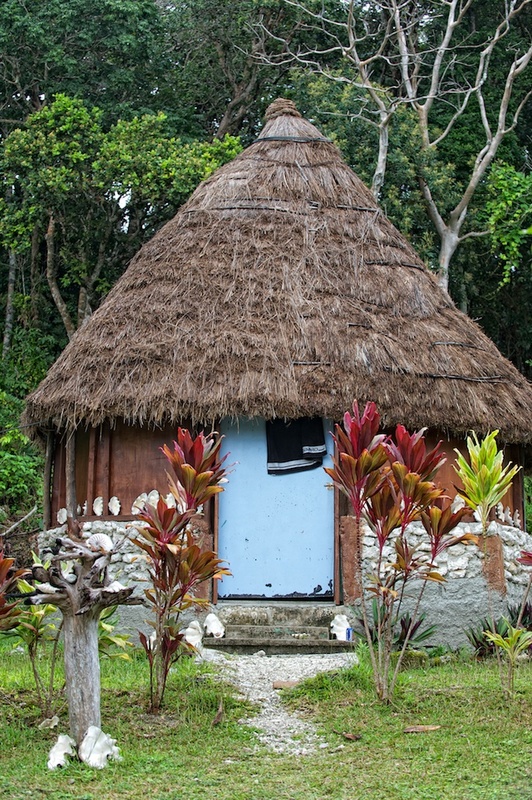 The tropical huts that its indigenous people live in are picturesque and inviting. 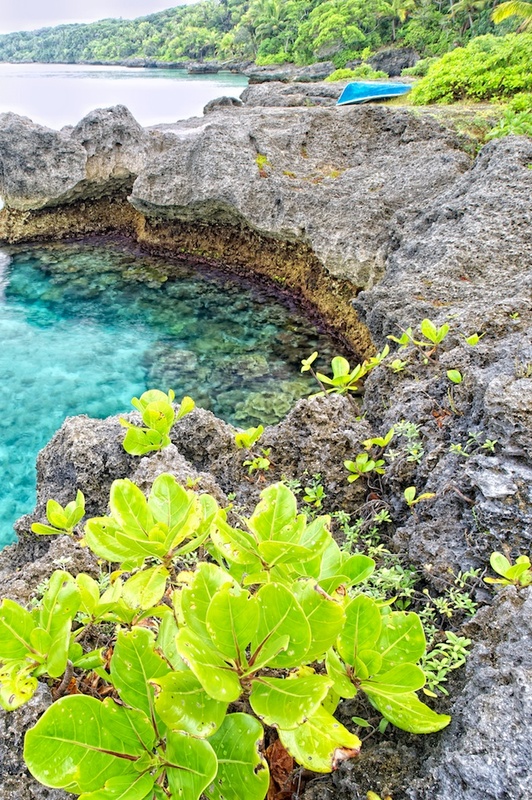 Lifou also sports caves, picturesque cliffs and gorgeous coves. I spent a lovely few hours prowling the coastline and photographing, although the day was overcast. My wife and I were about to hike the mile back to the ship, when a battered red pickup truck turned into the gravel road we were walking. A man was driving, his wife next to him and two adorable children in the back. We waved hello and they stopped and tried talking to us. Our French is nonexistent, as was their English, yet we were able to communicate. That’s probably one of my favorite activities when I travel; trying to form a human-to-human bond despite the chasm of culture and language. 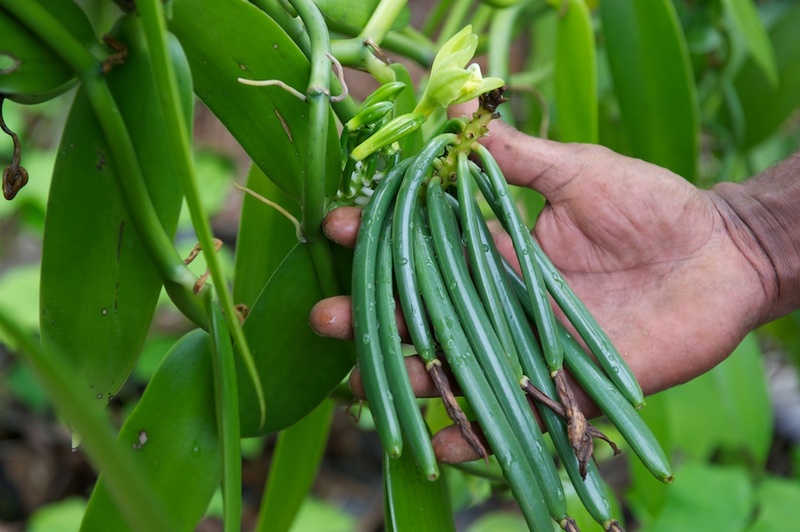 In this case we succeeded and Jacob managed to convey to us an invitation to visit his vanilla bean farm, mostly through his ten-year old son who knew a few English words and expressions. The farm was only a hundred yards down the road. And what a time we had! For the next hour, Jacob, his wife/partner Leila and their two children, Lorenzo and Maria gave us a tour of their farm, known as The Vanilleraie. 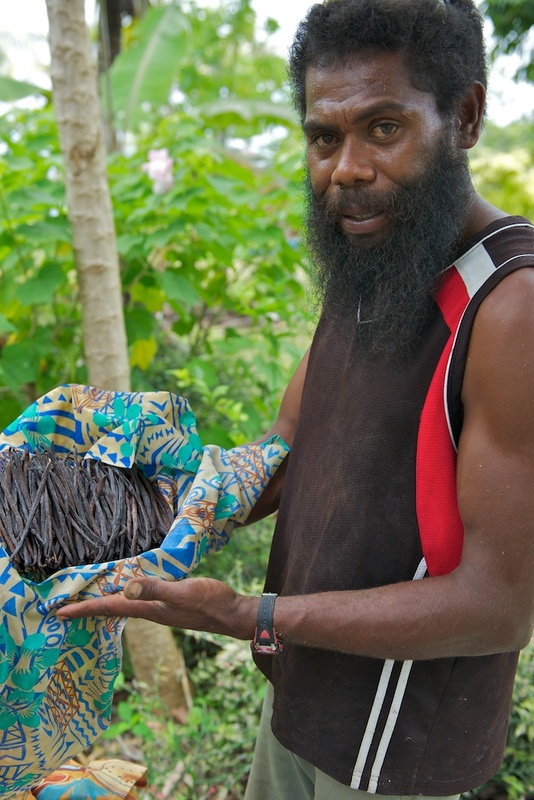 Jacob and his family were filled with pride as they showed us how vanilla beans are grown. The care they take with their plants is evident. Every plant is carefully manicured and cultivated. Each plant is mulched with coconut shells, since the coconut palm grows wild throughout the island and on Jacob’s and Leila’s property. So nothing is wasted, Jacob and his son feed the coconut meat to their pigs. It was hot and steamy out, but that was the last thing on our minds as we admired the farm they had carved out of the tropical jungle. At the end of the visit Jacob opened a weather-beaten suitcase and showed us the crown jewel of his operation; probably several hundred now dried and brown vanilla beans. My, god, what an intoxicating smell wafted to us when he opened that suitcase! He offered us some as a gift, but we tried to explain to him that we were not allowed to take any plants or foods back to the ship. He looked disappointed- and probably thought we were nuts- but I hope he understood. As soon as I get back to the States, I’ll send photos of the family back to them. 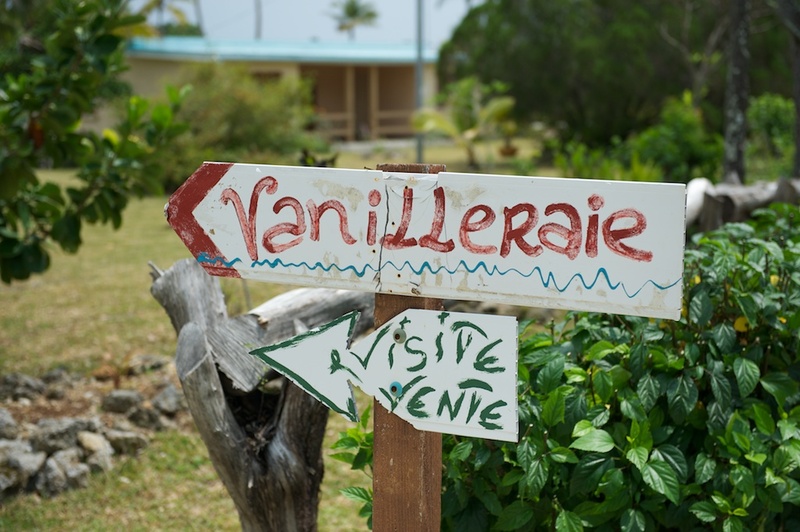 If you ever do get to Lifou, make The Vanilleraie a must-see stop, especially if you speak French.